Talk to anyone in any workplace and it never fails that the topic of endless, pointless meetings comes up. It seems that the number of meetings – whether face-to-face, conference call, or video/web-based – is on the rise. One executive I worked with shared her calendar with me to demonstrate the point. She had a week full of meetings, many of which overlapped. “How can you be in two places at one time?” I asked. “Well, I’ll start out in this meeting and then leave early to catch the last half of that meeting,” she answered. Sounds awfully stressful and unproductive to me! Honor time commitments – Meetings that run over, start late, or veer off-topic waste everyone’s time and energy. If you are planning a meeting, stick to scheduled start and end times. In fact, aim to end early if at all possible. To keep on point, capture side issues and other topics not germane to the discussion on a Parking Lot page posted on the wall. If you are invited to a meeting, show up on time. If you come late, don’t ask to revisit topics or decisions that have already been made. Limit electronic distractions – I understand that there are times when urgent and critical work issues occur that require regular monitoring of your email or phone messages. However, that should not be a daily or hourly occurrence. I have seen many meetings where everyone sits with their laptops open and/or smartphones in hand not fully focusing on the discussion, and I have listened in on conference calls where it was obvious that most people were doing other things and not participating in the meeting. These electronic distractions lengthen meetings as full participation is lacking, previous points are revisited, and decisions and agreements are harder to reach. If you are planning a meeting, ask participants to put laptops away or at a minimum keep them closed during the discussion. Schedule brief breaks to give participants time to quickly check for urgent email or phone messages. If you are invited to a meeting, try leaving the laptop behind and putting the smartphone away, and fully participate in the discussion. Meetings are an essential part of doing business and they are critical to generating and exchanging ideas, building relationships, managing conflict, achieving results, and increasing effectiveness. When they become time-wasting burdens to you and others, then it’s time to rethink your organization’s meeting maze and adopt more effective meeting practices. What ways have you found to break through the meeting maze? 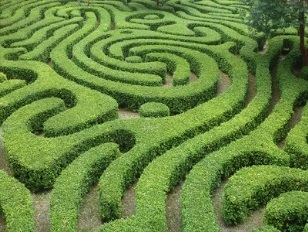 If you want help breaking through the meeting maze, contact Robyn at rmcleod@chatsworthconsulting.com.